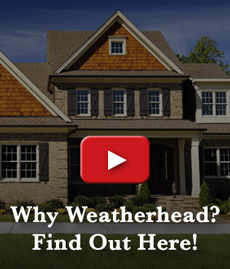 Increase your home’s curb appeal with new roofing and siding from Weatherhead & Sons. Whether you are trying to compete with the neighbors or you are looking to sell your home, our roofing and siding contractors can help you find the right roofing and siding to make your Grand Rapids home stand out. At Weatherhead & Sons, we offer quality home improvement services so that our clients can take pride in their homes. Roofing and siding provide the perfect design opportunities to breathe life into a home’s exterior. Below, we have listed our five favorite ways to take advantage of roofing and siding. Sometimes, all it takes is a new coat of paint to transform your home. It is usually best to borrow from Mother Nature's color palette when choosing a new hue for your home. For example, soft greens and yellows are often perceived as aesthetically pleasing. Also, keep in mind that high-contrast homes have the tendency to attract the eye to structural flaws. The right trimming can show off the architectural lines of your house and frame windows in a way that flatters them. When picking a color for your new trimming, be sure to select a hue that will best complement your home’s siding. A pleasing color combination will do wonders to beautify the exterior of your home. Add visual interest by modifying the shape of your roof. Depending on the current lines of your roof, you may want to embellish the top of your home with gabled peaks. Gable peaks can help make your home exude a classic style that can tempt potential homebuyers to venture further. You can also choose to customize your roof’s new gable peak by adorning it with an accent. Extending your home’s eaves is ideal for around the front door. That way, your guests don’t have to be drenched in rain while they wait for you to open the door. Extended eaves are also great for shielding rooms from receiving too much blinding sunlight. Have an east-facing bedroom? Eave extensions can help you sleep in without being woken up at daybreak. On average, roofs last about 20 years. Since a new roof is an investment, it is best to trust the installation to a roofing company you can trust. 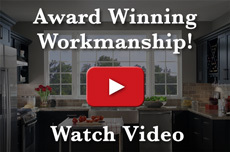 At Weatherhead & Sons, our team is more than qualified to help transform your home. Old deteriorating roofs can make your home look neglected. Upgrade your home’s roof for a boost in curb appeal that will last for years to come. Updating your home’s roofing and siding can be easy when you work with our experienced roofing and siding contractors. We take into account both your budget and design preferences when coming up with a plan that will work best for you. At Weatherhead & Sons, we make it our mission to give Grand Rapids’ homeowners a sense of pride in their house. If you are interested in our roofing and siding services, please feel free to call our Grand Rapids office at (616) 785-8080. At Weatherhead & Sons, we are dedicated towards helping your home look its best.